In the old days, you expect meeting rooms to be nothing but a white-walled workspace with a large table and perfectly aligned swivel chairs. Meeting rooms nowadays, however, have a more engaging design, which boosts the spirit of collaboration. Connecticut Business Centers, your local office space provider, explains how to design a modern meeting room in today’s post. Meeting rooms may only be one part of a workspace, but a recent study showed that 37% of employee time is spent in meetings. This is why considering employee needs while designing meeting rooms is important to create a positive vibe in your workspace. Note that it’s not enough to have one meeting room for workshops, brainstorming sessions, focused work, management meetings and one-on-one meetings. Your office space should have separate rooms for private conversations, whiteboard meetings, formal setups and large meetings. Apart from employee needs, you also have to consider the size, furniture and in-room equipment in your office space. It should fit the type of meetings your employees attend like internal discussions and formal presentations. You should also consider the ergonomics of your meeting room furniture. For instance, soft chairs with armrests are a perfect choice to foster a cozy vibe and promote longer discussions. Moreover, your meeting room should be equipped with screens and projectors for visual presentations. Color can affect the mood of your employees. For instance, bland colors like white, gray and beige can foster the feeling of sadness. Calm colors like blue and green can promote productivity, focus and relaxation. To boost creativity and optimism, you can use different tones of yellow. 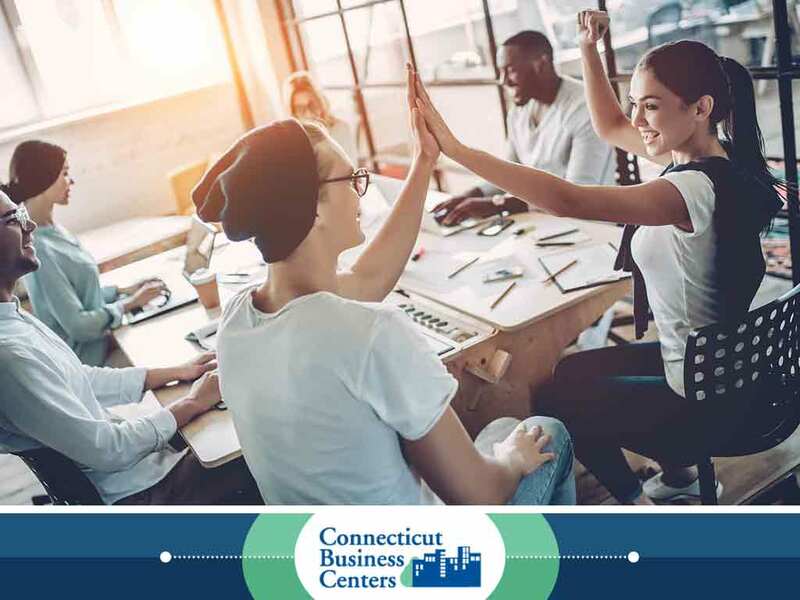 Connecticut Business Centers offers office space solutions that are designed to help you achieve your utmost potential. Call us today at (203) 359-5600­ or fill out our online form to learn about your office space options. We serve businesses in Connecticut, including Stamford, CT.